Millions of baby boomers qualify for valuable Social Security claiming options that can provide tens of thousands of dollars in additional benefits. Yet most will never receive these benefits, even though they qualify for them. How can this be so? It’s because there are so many rules, they are complicated, and people don’t understand how they work. For example, many baby boomers still qualify for a lucrative benefit that is being rapidly phased out under recent legislation. For those who still qualify it could mean as much as $62,000 in extra benefits…but you have to both qualify and know about it or you won’t get it. While very few people know about this particular benefit which applies to married couples, even fewer are aware that it can also be available to those who are divorced. In fact, the majority of couples, where one or both spouses reached age 62 on or before January 1, 2016, can still benefit from this strategy. Let’s look at an example. Consider two divorcees, Janet and Carla. They have much in common: Both were married to the same man (no, not at the same time) from whom they are currently divorced. Both are the same age, 62; their ex is also at least 62. Finally, both are eligible to receive the exact same benefit on each of their respective work records at age 66 (their Full Retirement Age): $2,000. In fact, their ex also qualifies for that same amount of $2,000 at his Full Retirement Age. Janet never bothered to learn much about her Social Security claiming options. She did what most people who don’t know any better do, she started her benefits at age 62. Carla invested time into getting educated about her benefits. As a result, she learned that she could wait to claim her own work-based benefit late and for part of the time while she waited, she could collect against the work-record of her ex-husband. Remember, they were each eligible for exactly the same options. So how did they do? Initially Janet does a bit better in the sense that she started collecting some money at age 62 while Carla waited a bit longer to start her benefits. However, Janet’s advantage faded fast. How do they compare at that age? Well, Carla has collected over $140,000 more than Janet by age 86. Moreover, she is receiving $2,640 a month, compared to only $1,500 a month for Janet: that extra $1,140 each month adds up to $13,680 in added benefits each and every year for Carla. While it isn’t always simple to determine your best Social Security claiming strategy, it can make a huge difference to your financial security as you grow older. Clearly the difference between the circumstances for Janet and Carla is worth investing your time and energy into getting educated about the complicated yet valuable Social Security program. 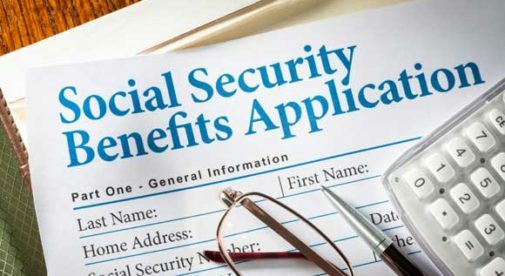 Many of these benefits are not automatic and no one from the Social Security Administration is likely to reach out to you to make sure you are aware of what you’re entitled to. All too often, you’re on your own. 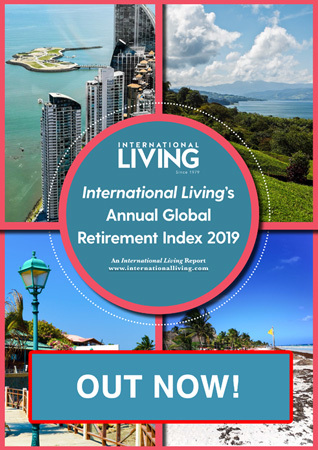 That’s why I’ve written a book, available exclusively to International Living readers, about the best strategies for claiming your Social Security…including the details of that loophole I mentioned that’s soon to close, which could see you lose out on over $62,000 worth of extra benefits. You owe it to yourself to learn now how this loophole, and the many other strategies that you’ll find in my book, can work best for you. And I want to give you a copy of this book for free. This is the tool you need to put a plan in place that allows you to retire better, and quite possibly earlier, than you ever thought you could. So don’t delay, claim your free copy of my book here.